Did the illustrations of Dr. Seuss always draw your admiration? Maybe you love to watch Lady Gaga’s imaginative style? You don’t need to consign your free-flowing creativity to decorating a kid’s space. 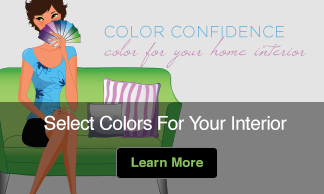 Instead, create a mood that highlights your personality by using these color tips to build a fun and whimsical mood. Bright colors are the calling card of a joyful space. Consider bold shades of red, green, or blue for walls. Secondary colors, those that are made when two primary colors are mixed together, are also idea for fun spaces. Think in tones of orange, brown, pink, magenta, or violet. 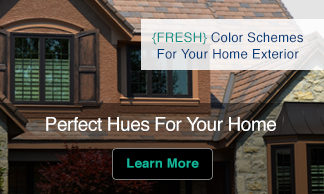 Another way to pump up the energy in your room is to favor high-contrast color combinations. Find shades that work by looking for colors that are opposite from each other, or complementary colors, on the color wheel. These vibrant combos include purple and yellow, blue and orange, and red and green. Creative color isn’t just for walls. Inject playfulness into other materials as well. For example, if your kitchen is in need of instant imagination add a color-packed tile backsplash. Multi-color tiles will also bring a sense of fun to bathroom spaces. You might also add whimsy by incorporating window dressings with fun prints or unusual embellishments. Get funky by reimagining classic and traditional pieces. Nothing says youthful quite like an electric blue Queen Anne end table or an antique chair reupholstered with a Warhol-inspired print. Not quite ready to make the full commitment to a playful scheme? Start by adding unexpected colors to your holiday décor. For example, nix the traditional Christmas red for a fun shade of pink or substitute apple red for Halloween orange. Starting on a small scale will soon give you the color confidence to re-do that dusty old room into the whimsical, you-inspired space you know it can be. Indulge in your inner Peter Pan or Alice in Wonderland. Using these tips will help you build the color confidence to create a playful room—the kind you’ll love to live in.